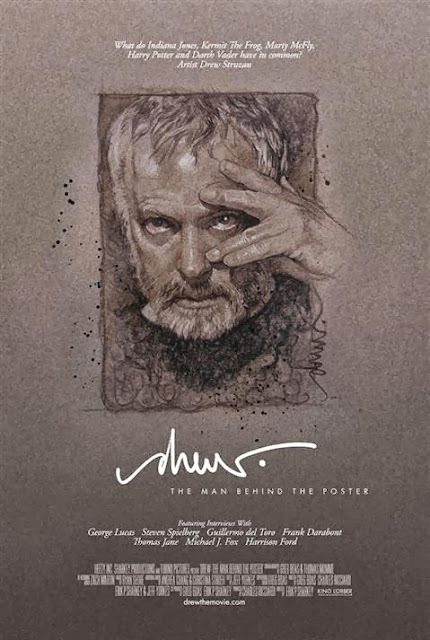 The film is a love letter to poster art and a warm tribute to the man himself. The director Eric Sharkey managed to make a human story as well as a thank you note from all of us. I was surprised at some of the dark issues that got mentioned, because this type of biographical film might be seen as a mere puff piece. Drew's start in life was not easy and breaking into the art world was a passion that most of us cannot imagine. The term "starving artist" has been around forever, but it certainly seemed to apply here. 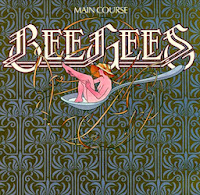 Even though it was more than forty years ago, I found myself heaving a sigh of relief when Drew got his first steady job working as an illustrator for album covers.Since I am a huge Bee Gees fan, the work that I most admired was the cover art for the "Main Course" album. It was however the amazing cover for Alice Cooper's Welcome to My Nightmare, that got him noticed by the more lucrative world of movie advertising and it wasn't long before he was knee deep in the film business with a lot of big names knocking at his door. A collaboration with another illustrator on the poster for Star Wars, lead to a long time association with George Lucas.Lucas, Steven Spielberg, Harrison Ford and many others all line up to sing the praises of this talented artist. Each is able to express a sense of wonder at how his style and technique bring a living quality to his paintings. Spielberg has even gone so far to say that he needs to make the movie live up to the illustrations that Drew provided for the film. There are highs and lows in the stories and some truly amazing pieces of information. 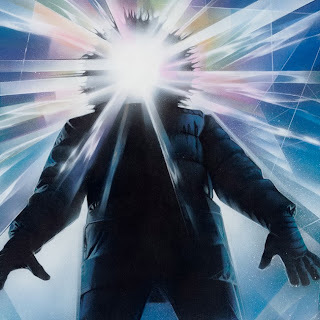 The poster for "John Carpenter's The Thing" was done without any visual reference to the story, no photos from the set, a complete absence of guidelines for what the "Thing" looked like and it was done in a day. 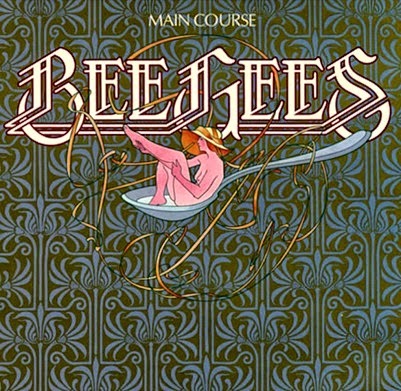 Many would consider the concept to be among the most clever of his career. I can't think of how someone could accomplish this in months, much less in the space of just over a day. As you listen to Drew Struzan describe these events, it is clear he is not bragging or exaggerating. He is a quiet, unassuming man with confidence in his ability and a sense of guilelessness that is disarming. He tells the stories proudly but without glory. He is a man simply describing his work, not aggrandizing it. That is for everyone else to do and they all do it very well. I almost went full fanboy at the screening tonight. It took place at the Archlight theater in Hollywood, and I just happened on an announcement on Facebook. Mr. Struzan himself was going to attend and there would be some Q and A. I brought my copy of his book of poster art, thinking I might ask him to sign it. However after seeing how retiring he is in person, and noting that the occasion was a screening not an autograph queue, I held myself back. After the Q and A, I got a chance to speak to the director and shared my appreciation for his work in making the movie happen. The producer, editor and cinematographer were also in attendance and I wish I could have made it over to speak to them as well. I also got to shake the hand of the man himself. Because there was another film screening at the Festival in the same theater, we could not linger in the aisles. I did however force myself on him as he exited the theater and had a chance to speak to him for a few brief moments. As I'm sure he heard from a thousand other lovers of his work, I told him of my admiration for all he had accomplished. He was extremely gracious and shared with me that although he is retired from the movie painting business he still needs to work to take care of his home and family. An artist must work, their art demands it. 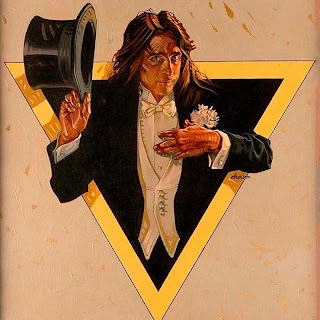 I know that Drew Struzan does not continue to paint because he needs the money, he does it because he needs the outlet for his talent. I am just thrilled to have seen the film in a theater and even more so to have shaken the hand that produced so much of what I love about the movie poster business. That's friggin' cool! What an artist! Great post, Richard. It was a great experience. It's going to play one more time on Sunday at the Hollywood Archlight if you are interested. Thanks for the good review. Drew is the son of my great uncle and our last name is spelled Struzan with an A not an E.